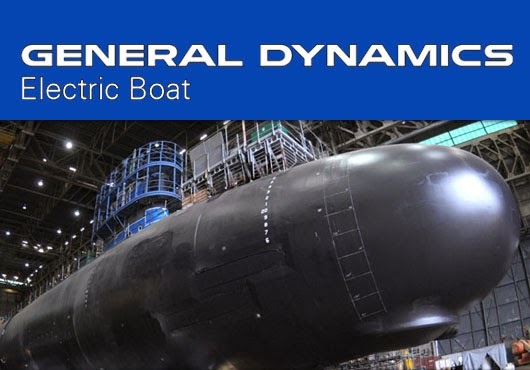 Conn.) represents General Dynamics Electric Boat, which stands to reap large profits from the production of the SSBN(X) at its shipyard in Groton, Connecticut. Navy Secretary Ray Mabus said earlier this year, "I think this is a debate that, between now and 2019, which is now inside the five-year defense budget, that we need to have because we need to build these [submarines]. ... If the money to build these comes out of Navy shipbuilding, comes out of procurement, it will take at least half, every year, of all our shipbuilding dollars." And now, lawmakers are pushing hard to ensure that the SSBN(X) does not take a funding hit; they are pushing for full funding, no matter where they have to get it. Should 100 percent of the funding have to come out of the Navy's shipbuilding budget, as it should, then the project will face much greater scrutiny, and that is something the Navy and the lawmakers whose corporate benefactors who stand to gain from it do not want. But then again, still, no one is asking the real questions that should be asked about the SSBN(X) program. Why should the US build a replacement for a Cold War nuclear weapons system that is no longer relevant in this post-Cold War world. No one is challenging the doctrine of "strategic nuclear deterrence" and its relevance in this rapidly changing new world order. At any rate, the following article, written last September is very relevant to the news about the newest call for alternative funding for the SSBN(X). The article refers to the Navy using "slight-of-hand" to pay for the SSBN(X). It's an appropriate term since no matter how one looks at the new SSBN(X), it's all hocus pocus. 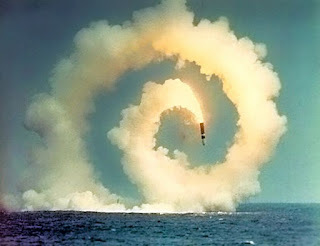 The budget busting Ohio class submarine replacement program is fast becoming a roaring migraine headache for the US Navy. In an attempt to skirt the pain caused by the program's enormous price tag, estimated to be over $100 billion, the Navy and its supporters in Congress are insisting that the program be exempt from normal budget procedures and protected from tough competition within the Navy budget. Earlier this month the head of the US submarine force asked Congress for $60 billion in supplemental funding – meaning outside the regular Navy shipbuilding budget -- over 15 years to pay for the new nuclear ballistic missile submarine program. But this ploy merely provides the illusion of pain relief; the bills will be paid out of someone else’s budget. The Pentagon faces tough budget choices in a constrained fiscal environment. An end run around those budget choices by creating a special fund obscures the hard choices that need to be made between nuclear weapons and other defense programs in a time of budget austerity. The problem facing the Navy is that the financial and opportunity costs of the Ohio class replacement program, which would replace the existing fleet of 14 Ohio class nuclear ballistic missile submarines with a fleet of 12 new SSBN(X) submarines, are staggering. A March 2013 GAO report stated that the estimated cost to design and build 12 SSBN(X)s is $93.1 billion. A 2012 CBO report put the cost north of $100 billion. The new submarines are slated to put so much strain on the Navy’s shipbuilding budget that the service is at a loss to explain how it will be able to afford it. Last year, in large part as a cost saving measure in the aftermath of the passage of the Budget Control Act, the Navy delayed the procurement of the first boat by two years from 2019 to 2021. Yet while the delay saves money in the near term, it does not reduce the total cost of the program. The Navy is searching for additional savings, but even if it is successful, a big if, Ohio replacement is poised to tear a gaping hole in the Navy's shipbuilding budget during the 2020s and 2030s - resulting in a smaller than desired conventional Navy. Instead of considering changes to the scope of the Ohio replacement program or making tough choices among programs, the Navy and its submarine boosters in Congress are proposing to fund the procurement of SSBN(X)s outside the Navy's shipbuilding budget. This step would not be unprecedented: there are some activities within the Pentagon, such as most missile defense spending, which are viewed as national programs and not funded by the individual services. Supporters of treating Ohio replacement in a similar fashion argue that the Navy shouldn't have to bear the entire cost of the program because strategic nuclear deterrence is not a Navy-specific mission but rather a national mission. They also argue that outside funding for the new submarines would protect funding for other Navy shipbuilding programs. Much to the chagrin of the Navy, however, the Pentagon leadership has repeatedly poured cold water on this idea, insisting that the SSBN(X) will be funded through the Navy shipbuilding budget. Just to try to give some examples to make this more germane, let's say we only are able to identify a $30 billion supplement or $2 billion a year over the 15-year period. If the Navy has to absorb that other $30 billion, we would be required to cut from our -- from our other general-purpose forces four attack submarines; four large surface combatants, DDGs; and another eight combatants. Breckenridge went on to add that the country should give the program “insulation from the pressures of sequestration.” Navy leaders have stated that the service reprogrammed funding from elsewhere in its budget in FY 2013 to keep the Ohio replacement on schedule in the face of sequestration. The Navy understands that it is in a zero-sum competition with the other services over a declining pot of resources and is banking on support for its SSBN(X) funding gambit from submarine supporters in Congress, particularly in key states where sub and shipbuilding spending is.. However, the Navy must also contend with Congressional supporters of the Army and Air Force, who will justifiably fear that money for the SSBN(X) will come from the budgets of their favorite programs. Moreover, while Pentagon leaders have called for exempting nuclear weapons from sequestration, the Office of the Secretary of Defense is reportedly pushing back against Breckenridge’s proposal to fund the SSBN(X) outside the shipbuilding budget. It appears that the Navy is flying solo on its gambit, at least at this juncture. The Navy’s case for funding the bulk of the Ohio replacement program outside its budget is flawed for several reasons. First, the claim that nuclear ballistic missile submarines are a national mission as opposed to a traditional Navy mission would likely come as news to most Americans, who might rightly ask: “Isn’t the whole Navy a national program?” The answer is of course, “Yes”. Second, setting up barriers between programs inhibits choosing priorities, which is particularly important in a time of budget austerity. As the Stimson Center’s Russell Rumbaugh put it to me, if Ohio replacement is essential, then the Navy should find a way to pay for it. If the Navy can’t part with anything else to pay for the SSBN(X), then the money should come from the Air Force, Army, or somewhere else in the Defense Department. If the Department can’t find the money, then it should come from somewhere else in the government. If that fails, the only other alternative is to increase the national debt to pay for the submarines. Third, now that the post-9/11 military spending binge has come to an end, the Navy’s inability to control the cost growth of other major programs such as the F-35 and its new class of carriers has contributed to the service’s current budget problems. But giving the Navy a free pass by moving the SSBN(X) off its budget won’t encourage it to spend its dollars more wisely. Fourth, while scaling back the scope of the Ohio replacement program won’t solve the Navy’s budget problem, it can relieve some of the pressure the program is putting on the rest of the fleet. According to an estimate by the Arms Control Association, reducing the current SSBN fleet to eight submarines and reducing the planned purchase of 12 SSBN(X)s to eight would save nearly $20 billion over the next decade alone. It remains to be seen whether the new nuclear policy guidance approved by the President in June will relax current at sea deterrence requirements, thereby allowing for a smaller ballistic missile submarine force. However, the President’s proposal in his Berlin speech to reduce deployed strategic warheads by up to one-third below the New START level can be achieved with fewer than 12 submarines. 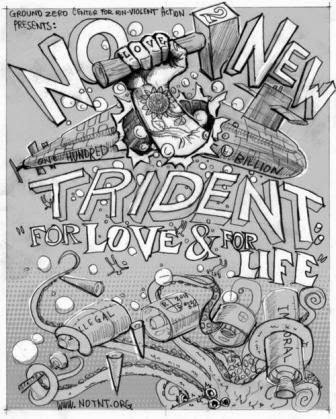 As Colin Powell once put it, nuclear weapons “are expensive. They take away from soldier pay. They take away from lots of things.” The enormous cost to recapitalize America’s fleet of ballistic missile submarines should not be swept under the rug by a budget sleight-of-hand. Instead the program should be forced to compete with everything else in the Navy and larger Pentagon budget on the basis of common criteria such as need, affordability, and cost-effectiveness. US national security and taxpayers will be better off for it.